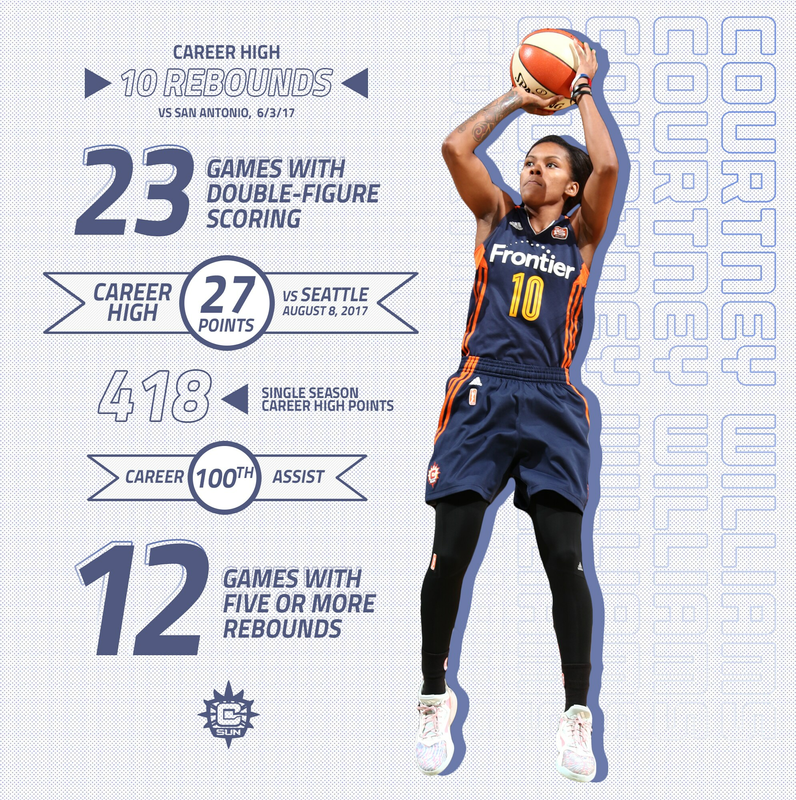 27 – Scored a career-high 27 points against Seattle (8/8). 10 – Collected a career-high 10 rebounds against San Antonio (6/3). 6 – Dished out a career-high six assists against Chicago (7/25). 12 – Made a career-high 12 field goals against Seattle (8/8). 418 – Set new single-season career-high with 418 points in 2017. 100 – Recorded her 100th career assist at Los Angeles (9/3). 23 – Posted 23 games with double-figure scoring. 17 – Recorded 17 games with five or more rebounds.